California! Salinas Salsa is heading to the Sabor Latino Food Industry Show! Home / News / California! Salinas Salsa is heading to the Sabor Latino Food Industry Show! California! 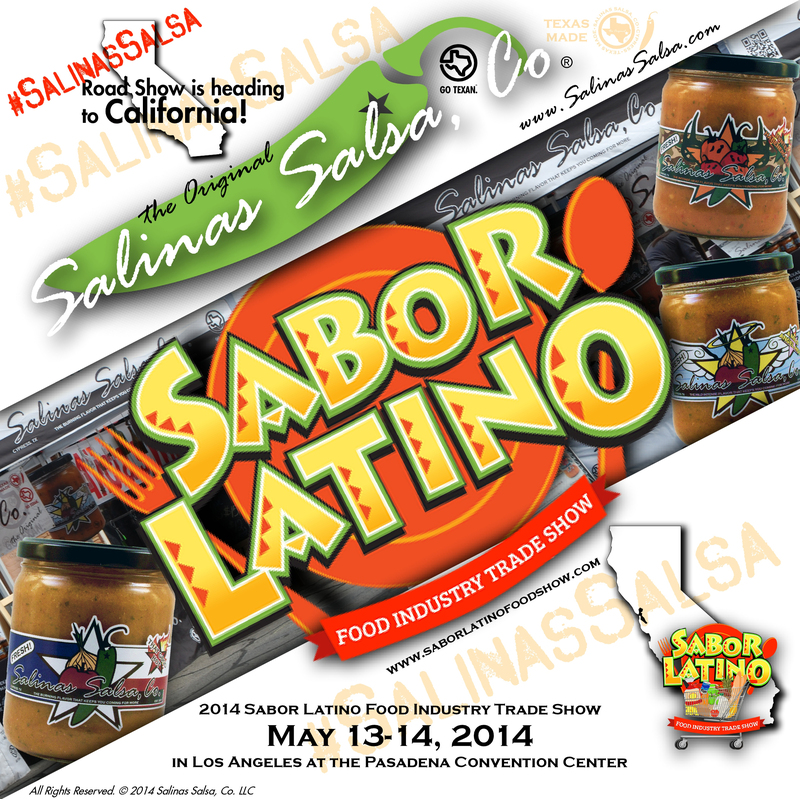 Salinas Salsa is heading to the Sabor Latino Food Industry Show in May 2014. Pasadena / L.A. We are so excited to have accepted an invitation from Sabor Latino Food Show to bring our Texas salsa to the California market. This is a show/the marketplace for capturing opportunities and connecting with authenticity and innovation. The Show that Matters, "El Show Que Vale la Pena"
Copyright © 2016 Salinas Salsa, Co. All Rights Reserved.